Lizzie Armitstead has revealed the problems with Nicole Cooke and fractious aftermath of September’s World Championship road race in Copenhagen, which casts doubt on the ability of the women’s Great Britain road team to ride cohesively at the 2012 Olympics. It also comes in light of Armitstead’s recent decision to focus solely on the road race in London next summer: she will be vying for team leadership with defending Olympic champion Cooke. In Copenhagen, Cooke sprinted to fourth, while agreed pre-race team leader Armitstead recovered from losing position in a late crash to place seventh, crossing the line in tears. Cooke had been expected to lead out Armitstead in the race. In the post-race team meeting, Armitstead and GB boss Shane Sutton slammed Cooke. “I said exactly how I felt. And I’m really happy I did, because it’s been an unspoken situation for too long,” Armitstead said. “It needed to be out there. Someone needed to be honest about what was going on and why we didn’t win a medal when we were capable of doing it. I was really disappointed. Asked if she expects to lead the team at the Olympics, she said: “Not at all, it will be quite simply judged on form in the lead-up to the race. If harmony cannot be reached ahead of London 2012, it is possible that Armitstead or Cooke could be benched to ensure a team whole-heartedly behind one leader. But not taking the reigning champion would be a highly controversial move. The men’s Olympic places are decided already, but the women’s team are right on the cusp of qualifying maximum places and need to consolidate their position with a strong spring next year. The final decision is made on May 31. After consulting friends and family, Armitstead told CW that she had made the decision to focus solely on the Olympic road race, eschewing her chances of glory on the track. “I think it is probably a better chance of a medal, but I don’t want to get a medal only to be unhappy. I’ve seen too many Olympic champions that still seem miserable with it,” she said. Training in traffic around Manchester was “cracking” her, she added. 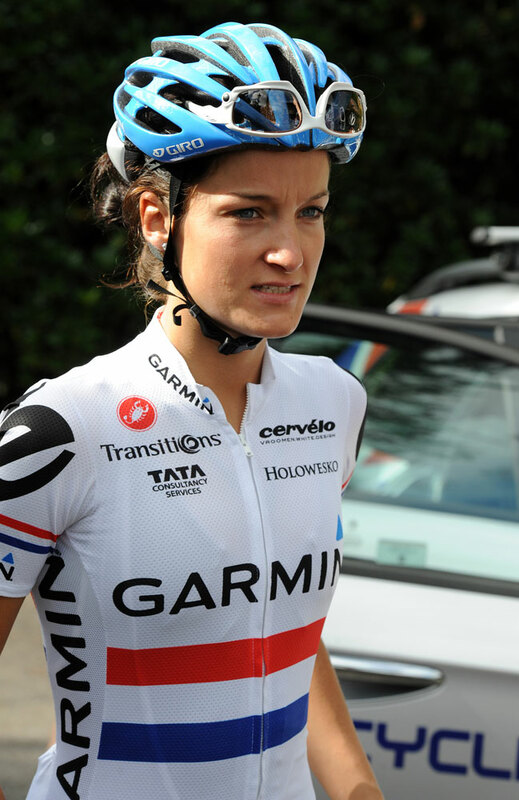 Armitstead made her decision in late September following the National Track Championships. For a full and frank interview with Lizzie Armitstead, buy the January 2012 edition of Cycle Sport, out in the shops from today. For more on the Armitstead-Cooke dispute, look out for the November 24 edition of Cycling Weekly, out tomorrow.